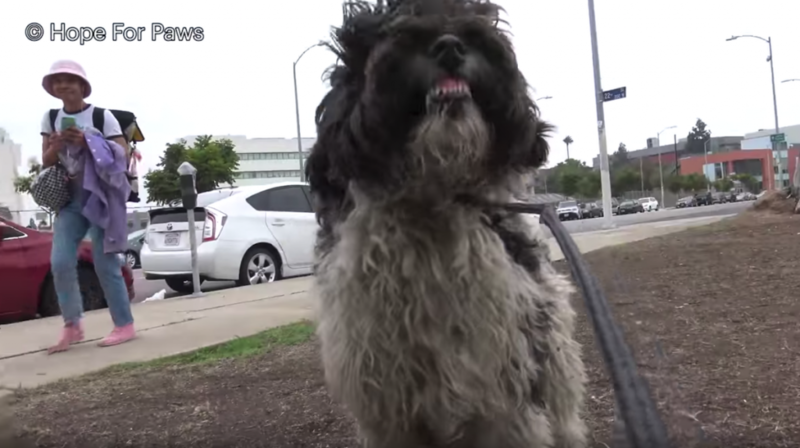 Hope For Paws set out to rescue a homeless dog who was abandoned in downtown Los Angeles. With nowhere to park, Eldad asked Jackie to clear a spot on the sidewalk of a campus for just a moment. As always, time was of the essence when trying to get an animal to safety. 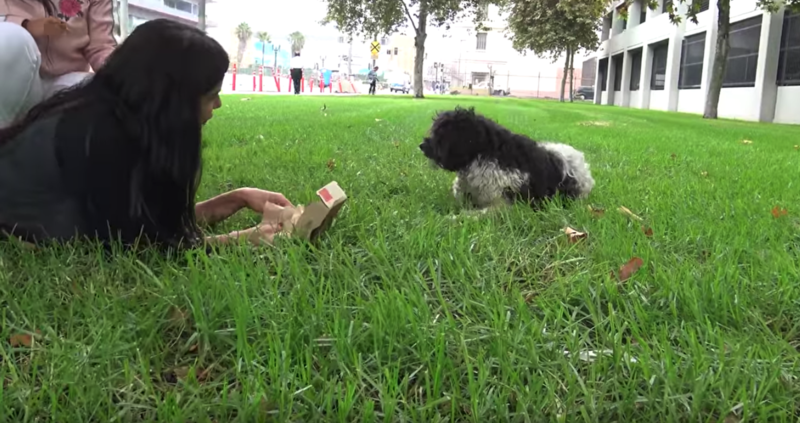 A student had sat down with the dog and fed him, but the pup wouldn’t allow anyone near. After campus security showed up to make Hope For Paws move their vehicle, the stray took off across the street. They approached carefully and cautiously as not to spook the dog in traffic. They offered food, but he was not interested. Maxwell was cleaned up and checked out and continued on to his foster with LA Animal Rescue. You can contact them if interested in giving Maxwell his forever home.